Just like you, we’re parents. Between the three of us, we have seven children, three boys and four girls, ranging in age from five months to “six and three-quarters.” Our goals for our own children are the same as those for yours. First and foremost, we want them to be happy. We want them to always feel loved. And we want them to reach their full potential. Oprah Winfrey used to talk about “aha moments.” Those infrequent but memorable times when the dots connect before your eyes. 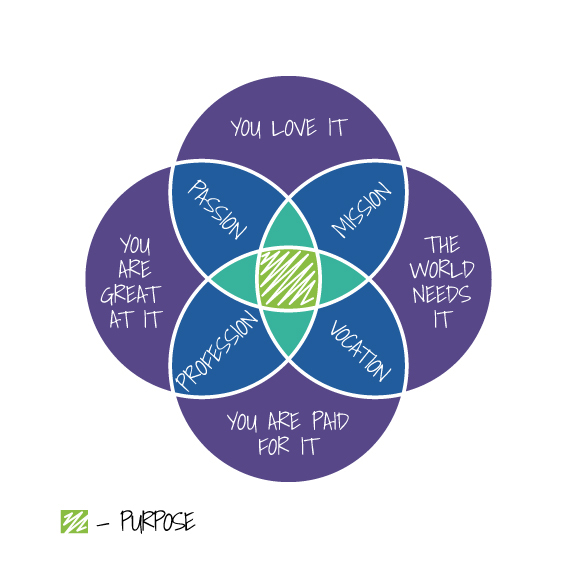 Stumbling across this diagram led to a collective “aha moment” for the three of us. Suddenly, the reason we schedule days off and then find ourselves at the office made sense. Our motivation for days starting at 6 a.m. and ending at midnight- and then waking up the following morning excited to do it again became clear: We are in the lucky minority of people who have found their purpose in life. While we have seven biological children, when we talk about “our children,” the number far exceeds seven and the age range spans a couple decades. Thank you for providing the inspiration for our purpose.